"Jesus wants to resurrect your life. He wants to heal your relationships, to restore you and to show you your true value." If you are looking for a reflective space in the busyness of Easter, look no further than our Maundy Thursday service, where we meet to worship and pray in preparation for Good Friday and Easter Sunday. We’ll be outside on St Thomas Hill, so bring a chair and rug up, but we believe transformation starts right here this year. If you’re looking for a more traditional Easter service this year, this is the one for you. Experience authentic, meaningful worship in our beautiful old church. Join us this Good Friday as we meet together to hear the depth of God’s love shown at the cross, and discover what it means for us all. This modern service is a way to reflect and process all that Easter is really about. If you feel like you want to take the next step in your faith this Easter, join us at 11am at Oxley Beach for baptisms, whether you’re young, old or anything in between. We’ll have BYO lunch following the baptisms so please bring some food and chair as we celebrate our participants and family this Easter. For those interested in a more traditional Easter service for you and your family, we’ve got you covered with out 7:30 service, as we gather around hymnal worship and good old fashioned hospitality on this very special day. Whether you’ve never been in church before or have been coming for years, you are so welcome to join us at our 9am service where we will be celebrating the resurrection of Christ in a vibrant and energetic service for the whole family. Running out of our second location at SCAS, this service is a joyful celebration of new life. We know God wants nothing more than to meet you this Easter, so come and hear of resurrection and revival on Easter Sunday in this family orientated service, with an Easter egg hunt afterwards. Whether you're looking for something traditional, something new, or something for everyone, come along and experience life as its meant to be lived. Our 7:30am is Port Anglican's most traditional service with full liturgy and authentic hymnal worship. 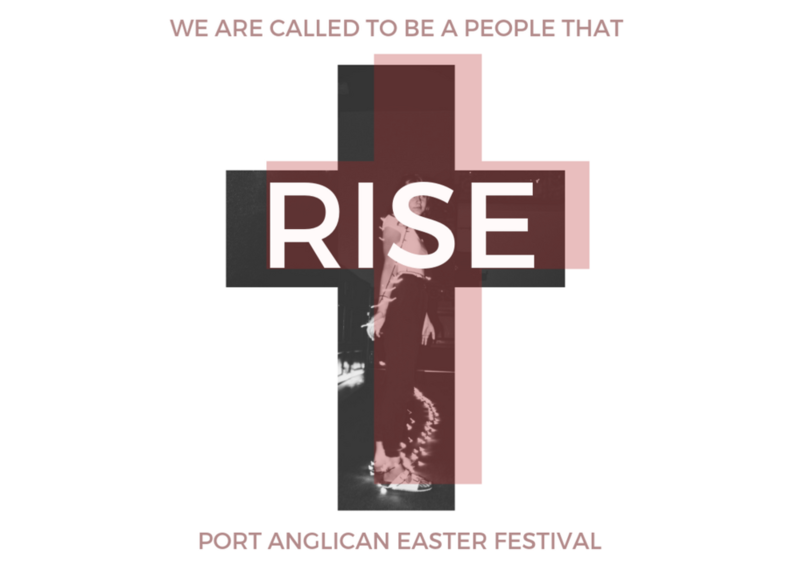 Come and see why we have been serving Port Macquarie as a church for more than 180 years. Running out of our second location in Trinity Chapel in the centre of St Columba Anglican School, our 10:30 is our most contemporary service, complete with a full band, biblical teaching and good old fashioned hospitality. Our 9am service is a warm, family friendly service, with incredible hospitality and even better people. This service is for those looking for an authentic worship experience in a loving community. Our Sunday night service - Spirit and Truth is all about encountering God’s presence through his Holy Spirit. If you are desiring to go deeper with God, and experience profound transformation, this service is for you. Through the power of the Holy Spirit Jesus can change our lives and increase our capacity to lead in our sphere of influence. If you would like explore how this looks in your life, come join us as we share our lives and life challenges together we will go deeper into how the Holy Spirit’s presence in our lives can give us the strength to do more and be more..
Where: CMR Room St Thomas Church Square. Thursday Mornings - 9.30 - 11.15am during school terms. We begin with coffee and raisin toast at 9.30 am. It is my desire that outside of Church on a Sunday we have a chance to meet socially to build relationships and friendships as a collective of Women. On the 4 th Tuesday of the month, ladies you are invited to share a meal, a movie or just a drink and a chat. The week before the event I will let you know the time and place for the gathering. Come on your own and/or invite your friends. We love to meet new people. No agenda just time together. Do you want to explore some of the biggest questions about life and God?! We are running the Alpha Course again this year and we are excited! On the 2nd of May, the Alpha course will be commencing. Come along and invite someone to take this journey with you! If you're exploring God, life or our church, just fill out the form below to become part of our growing community. If you're looking to join one of our many ministries, you can fill out the form below and start making a difference today. Did you know our church has its own app? You can explore our community, listen to sermons and pray with us right from the comfort of your smart device. To get online and going, follow the link below, or watch the following video. If you want to financially support the ministry God is doing through the life of our church, hit the button below to back us. Our parish has a diverse range of ministries and social projects which we are invested in. Click on the links below to hear more about the life of our parish, listen to our sermons or email us. Our youth ministry runs across both campuses. We exist as a ministry to see Christ's name lifted high in the young people in our community. Keep updated on all our happenings below. The young families and children's ministry comes under the banner of Port Kids. Whether you're looking for our playgroup, resources or kids church, all you need is below.